Vali Asimit joined Cass in January 2011 as a Lecturer in Actuarial Science. Previously, he had been a Lecturer in Actuarial Science at the University of Manchester for two years. Vali had studied Economics at the Academy of Economic Studies, Bucharest, Romania. He has an MSc in Statistics from the University of Western Ontario, Canada. He pursued his doctoral research on "Dependence Modelling with Applications in Finance and Insurance" at the University of Western Ontario. As part of his academic work he has published and acted as referee for international statistical and actuarial journals. Vali received the 2010 Fortis Award for the best Insurance: Mathematics and Economics (IME) journal paper presented at the 14th International Congress of IME. Estimation of extreme events with applications in finance and actuarial science were the focus of my previous research. Asimit, A., Gao, T., Hu, J. and Kim, E. (2016). Numerical Optimisation for Actuarial Applications. 51st Actuarial Research Conference Minneapolis, USA. Asimit, A.V., Badescu, A., Siu, T. and Zinchenko, Y. (2011). Optimal Investment for an Insurance Company. Insurance: Mathematics and Economics Annual Meeting Trieste, Italy. Asimit, A.V., Badescu, A. and Tsanakas, A. (2011). Intra-Group Risk Transfers and Regulatory Arbitrage. Financial Services Authority Seminar London, UK. Asimit, V., Furman, E., Tang, Q. and Vernic, R. (2010). Asymptotic Approximations of the CTE Capital Allocations. 14th International Congress on Insurance: Mathematics and Economics (IME: 2010) 17-19 June, University of Toronto, Canada. Asimit, V., Badescu, A. and Siu, K. (2010). Optimal Investment for an Insurance Company. Actuarial Teaching and Research Conference Manchester, UK. Asimit, V., Badescu, A. and Siu, K. (2010). Optimal Investment for an Insurance Company. Cass Business School, City University London, UK. Asimit, V., Badescu, A. and Jones, B. (2010). Solvency Capital Requirement via Extreme Value Theory. Dept. of Mathematics, University of Leicester Leicester, UK. Asimit, V., Badescu, A. and Jones, B. (2010). Solvency Capital Requirement via Extreme Value Theory. Dept. of of Mathematical Sciences, University of Liverool Liverpool, UK. Asimit, V. and Badescu, A. (2009). Extremes on the Discounted Aggregate Claims in a time Dependent Model. Dept. of Statistical & Actuarial Sciences, University of Western Ontario London, Ontario, Canada. Asimit, V. and Jones, B. (2008). Asymptotic Tail Probabilities for Large Claims Reinsurance of a Portfolio of Dependent Risks. Dept. of Statistics, University of Toronto Toronto, Ontario, Canada. Asimit, V. and Jones, B. (2008). Dependence and the Asymptotic Behaviour of Large Claims Reinsurance. Dept. of Mathematics and Statistics, University of Toronto Toronto, Ontario, Canada. Asimit, V. and Jones, B. (2008). Dependence and the Asymptotic Behaviour of Large Claims Reinsurance. Statistical Society of Canada Annual Meeting Ottawa, Ontario, Canada. Asimit, V. and Badescu, A. (2008). Extremes on the Discounted Aggregate Claims in a time Dependent Model. Copula Models : Theory and Applications Quebec City, Quebec, Canada. Asimit, V., Badescu, A. and Jones, B. (2008). Solvency Capital Requirement Via Extreme Value Theory. Dept. of Statistics and Actuarial Science, University of Waterloo Waterloo, Ontario, Canada. Asimit, V. and Jones, B. (2007). Asymptotic Tail Probabilities for Sums of Dependent Random Variables. Dept. of Statistics and Actuarial Science, University of Waterloo Waterloo, Ontario, Canada. Asimit, V. and Jones, B. (2007). Extreme Behaviour of Bivariate Elliptical Distributions. Insurance: Mathematics and Economics Annual Meeting Piraeus, Greece. Asimit, V. and Jones, B. (2006). Extreme Behaviour of Multivariate Phase-Type Distributions. Actuarial Research Conference Montreal, Quebec, Canada. Asimit, V. and Jones, B. (2006). Extreme Behaviour of Multivariate Phase-Type Distributions. Insurance: Mathematics and Economics Annual Meeting Leuven, Belgium. Asimit, V. and Jones, B. (2006). On the Extreme Behaviour of Continuous Bivariate Elliptical Distributions. Statistical Society of Canada Annual Meeting London, Ontario, Canada. Asimit, V., Peng, L., Wang, R. and Yu, A. (2019). An efficient approach to quantile capital allocation and sensitivity analysis. Mathematical Finance. doi:10.1111/mafi.12211 . Asimit, V. and Boonen, T.J. (2018). Insurance with multiple insurers: A game-theoretic approach. European Journal of Operational Research, 267(2), pp. 778–790. doi:10.1016/j.ejor.2017.12.026 . Asimit, A.V. and Li, J. (2018). Systemic risk: An asymptotic evaluation. ASTIN Bulletin, 48(2), pp. 673–698. doi:10.1017/asb.2017.38 . Asimit, A.V. and Li, J. (2018). Measuring the Tail Risk: An Asymptotic Approach. Journal of Mathematical Analysis and Applications, 463(1), pp. 176–197. doi:10.1016/j.jmaa.2018.03.019 . Asimit, A.V., Gao, T., Hu, J. and Kim, E. (2018). Optimal Risk Transfer: A Numerical Optimisation Approach. North American Actuarial Journal, 22(3), pp. 341–364. doi:10.1080/10920277.2017.1421472 . Asimit, A.V., Hashorva, E. and Kortschak, D. (2017). Aggregation of randomly weighted large risks. IMA Journal of Management Mathematics, 28(3), pp. 403–419. doi:10.1093/imaman/dpv020 . Asimit, A.V. and Li, J. (2016). Extremes for coherent risk measures. Insurance: Mathematics and Economics, 71, pp. 332–341. doi:10.1016/j.insmatheco.2016.10.003 . Asimit, A.V., Gerrard, R., Hou, Y. and Peng, L. (2016). Tail dependence measure for examining financial extreme co-movements. Journal of Econometrics, 194(2), pp. 330–348. doi:10.1016/j.jeconom.2016.05.011 . Asimit, A.V., Vernic, R. and Zitikis, R. (2016). Background Risk Models and Stepwise Portfolio Construction. Methodology and Computing in Applied Probability, 18(3), pp. 805–827. doi:10.1007/s11009-015-9458-3 . Asimit, A.V., Furman, E. and Vernic, R. (2016). Statistical Inference for a New Class of Multivariate Pareto Distributions. Communications in Statistics: Simulation and Computation, 45(2), pp. 456–471. doi:10.1080/03610918.2013.861627 . Asimit, A.V. and Gerrard, R. (2016). On the worst and least possible asymptotic dependence. Journal of Multivariate Analysis, 144, pp. 218–234. doi:10.1016/j.jmva.2015.11.004 . Asimit, A.V., Badescu, A.M., Haberman, S. and Kim, E.S. (2016). Efficient risk allocation within a non-life insurance group under Solvency II Regime. Insurance: Mathematics and Economics, 66, pp. 69–76. doi:10.1016/j.insmatheco.2015.10.008 . Asimit, A.V., Badescu, A.M., Siu, T.K. and Zinchenko, Y. (2015). Capital requirements and optimal investment with solvency probability constraints. IMA Journal of Management Mathematics, 26(4), pp. 345–375. doi:10.1093/imaman/dpt029 . Asimit, A.V. and Chen, Y. (2015). Asymptotic results for conditional measures of association of a random sum. Insurance: Mathematics and Economics, 60, pp. 11–18. doi:10.1016/j.insmatheco.2014.10.012 . Asanga, S., Asimit, A., Badescu, A. and Haberman, S. (2014). Portfolio Optimization under Solvency Constraints: A Dynamical Approach. North American Actuarial Journal, 18(3), pp. 394–416. doi:10.1080/10920277.2014.910127 . Asimit, A.V., Badescu, A.M. and Cheung, K.C. (2013). Optimal reinsurance in the presence of counterparty default risk. Insurance: Mathematics and Economics, 53(3), pp. 690–697. doi:10.1016/j.insmatheco.2013.09.012 . Asimit, A.V., Badescu, A.M. and Verdonck, T. (2013). Optimal risk transfer under quantile-based risk measurers. Insurance: Mathematics and Economics, 53(1), pp. 252–265. doi:10.1016/j.insmatheco.2013.05.005 . Asimit, A., Vernic, R. and Zitikis, R. (2013). Evaluating Risk Measures and Capital Allocations Based on Multi-Losses Driven by a Heavy-Tailed Background Risk: The Multivariate Pareto-II Model. Risks, 1(1), pp. 14–33. doi:10.3390/risks1010014 . Asimit, V., Badescu, A. and Tsanakas, A. (2013). Optimal Risk Transfers in Insurance Groups. European Actuarial Journal, 3(1), pp. 159–190. Asimit, A.V., Furman, E., Tang, Q. and Vernic, R. (2011). Asymptotics for risk capital allocations based on Conditional Tail Expectation. Insurance: Mathematics and Economics, 49(3), pp. 310–324. doi:10.1016/j.insmatheco.2011.05.002 . Asimit, A.V., Li, D. and Peng, L. (2010). Pitfalls in using Weibull tailed distributions. Journal of Statistical Planning and Inference, 140(7), pp. 2018–2024. doi:10.1016/j.jspi.2010.01.039 . Asimit, A.V. and Badescu, A.L. (2010). Extremes on the discounted aggregate claims in a time dependent risk model. Scandinavian Actuarial Journal, (2), pp. 93–104. doi:10.1080/03461230802700897 . Asimit, A.V., Furman, E. and Vernic, R. (2010). On a multivariate Pareto distribution. Insurance: Mathematics and Economics, 46(2), pp. 308–316. doi:10.1016/j.insmatheco.2009.11.004 . Asimit, A.V. and Jones, B.L. (2008). Dependence and the asymptotic behavior of large claims reinsurance. Insurance: Mathematics and Economics, 43(3), pp. 407–411. doi:10.1016/j.insmatheco.2008.08.007 . Asimit, A.V. and Jones, B.L. (2008). Asymptotic tail probabilities for large claims reinsurance of a portfolio of dependent risks. ASTIN Bulletin, 38(1), pp. 147–159. doi:10.2143/AST.38.1.2030407 . Asimit, A.V. and Jones, B.L. (2007). Extreme behavior of multivariate phase-type distributions. Insurance: Mathematics and Economics, 41(2), pp. 223–233. doi:10.1016/j.insmatheco.2006.10.016 . Asimit, A.V. and Jones, B.L. (2007). Extreme behavior of bivariate elliptical distributions. Insurance: Mathematics and Economics, 41(1), pp. 53–61. doi:10.1016/j.insmatheco.2006.09.002 . Applications and Applied Mathematics: An International Journal, Referee, 2015 – present. Journal of Business and Economics, Referee, 2015 – present. Applied Mathematics- A Journal of Chinese Universities, Referee, 2014 – present. Journal of Computational and Applied Mathematics, Referee, 2014 – present. Journal of Multivariate Analysis, Referee, 2014 – present. Methodology And Computing In Applied Probability, Referee, 2014 – present. Risks, Referee, 2014 – present. Stochastic Models, Referee, 2014 – present. Science China Mathematics, Referee, 2013 – present. Scandinavian Actuarial Journal, Referee, 2013 – present. Applied Mathematics and Computation, Referee, 2012 – present. Astin Bulletin, Referee, 2012 – present. European Actuarial Journal, Referee, 2012 – present. European Journal of Operational Research, Referee, 2012 – present. Insurance: Mathematics and Economics, Referee, 2012 – present. Statistics, Referee, 2012 – present. Annals of Actuarial Science, Referee, 2011 – present. Frontiers of Mathematics in China, Referee, 2011 – present. Journal of Mathematical Analysis and Applications, Referee, 2011 – present. Advances in Applied Probability, Referee, 2010 – present. Communications in Statistics – Theory and Methods, Referee, 2010 – present. Journal of Probability and Statistics, Referee, 2009 – present. Metron - International Journal of Statistics, Referee, 2009 – present. Test, Referee, 2008 – present. North American Actuarial Journal, Referee, 2007 – present. (Seminar) University of Connecticut (2016). Invited speaker. (Workshop) University of International Business and Economics, Beijing, China (2016). Invited speaker. ERCIM 2016. (Conference) Seville, Spain (2016). Invited speaker. 51st Actuarial Research Conference. (Conference) Minneapolis, USA (2016). 20th International Congress on Insurance: Mathematics and Economics. (Conference) Atlanta, USA (2016). 19th International Congress on Insurance: Mathematics and Economics. (Conference) Liverpool, UK (2015). Organising Committee. (Seminar) University of Amsterdam (2015). Invited speaker. (Seminar) University of Calgary (2015). (Seminar) Katholieke Universiteit Leuven (2015). Invited speaker. 2015 Seminar - Université de Lausanne. (Seminar) Université de Lausanne (2015). Invited speaker. Solvency II Workshop. (Workshop) Bucharest, Romania (2015). Invited speaker. Recent Developments in Dependence Modelling with Applications in Finance and Insurance - 2nd Edition. (Workshop) Vrije Universiteit Brussel (2015). Invited speaker. Dependence and Risk Measures Conference. (Conference) Milano (2015). 50th Actuarial Research Conference. (Conference) Toronto, Ontario, Canada (2015). 2014 Seminar. (Seminar) University of Liverpool (2014). Invited speaker. 2014 International Workshop on Risk Analysis, Ruin and Extremes. (Workshop) Nankai, China (2014). Invited speaker. Co-authors: Tang, Q. and Yuan, Z. Extreme Events in Finance Conference. (Conference) Royaumont Abbey, France (2014). ERCIM 2014. (Conference) Università di Pisa (2014). Invited speaker. 18th Insurance: Mathematics and Economics Meeting. (Conference) Shanghai, China (2014). IME meeting. (Conference) Copenhagen, Denmark (2013). ERCIM 2013. (Conference) London, UK (2013). Invited speaker. Actuarial and Financial Mathematics Conference. (Conference) Brussels, Belgium (2013). (Seminar) Heriot-Watt University (2012). Invited speaker. Actuarial and Risk Measures Workshop on Risk Dependency and Ruin. (Workshop) Piraeus, Greece (2012). Invited speaker. 2012 IME meeting. (Conference) Hong Kong (2012). 1st European Actuarial Journal Conference. (Conference) Lausanne, Switzerland (2012). 2011 Seminar. (Seminar) Lausanne, Switzerland (2011). Invited speaker. Financial Services Authority Seminar. (Seminar) London, UK (2011). Invited speaker. 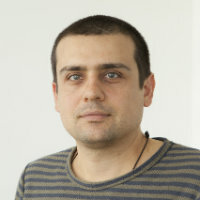 Co-authors: Badescu, A. and Tsanakas, A. Insurance: Mathematics and Economics Annual Meeting. (Conference) Trieste, Italy (2011). Actuarial Teaching and Research Conference. (Conference) (2010). Organising Committee and Session/Day Chair. Dept. of of Mathematical Sciences, University of Liverpool. (Seminar) Liverpool, UK (2010). Invited speaker. Co-authors: Badescu, A. and Jones, B. 2010 Seminar - Dept. of Mathematics, University of Leicester. (Seminar) Leicester, UK (2010). Invited speaker. 2010 Seminar - Cass Business School, City University. (Seminar) London, UK (2010). Invited speaker. Co-authors: Badescu, A. and Siu, K.
Insurance: Mathematics and Economics Annual Meeting. (Conference) Toronto, Ontario, Canada (2010). Co-authors: Furman, E., Tang, Q. and Vernic, R.
Actuarial Teaching and Research Conference. (Conference) Manchester, UK (2010). 2009 Seminar - Dept. of Statistical & Actuarial Sciences, University of Western Ontario. (Seminar) London, Ontario, Canada (2009). Invited speaker. 2008 Seminar - Dept. of Statistics, University of Toronto. (Seminar) Toronto, Ontario, Canada (2008). Invited speaker. 2008 Seminar - Dept. of Statistics and Actuarial Science, University of Waterloo. (Seminar) Waterloo, Ontario, Canada (2008). Invited speaker. Statistical Society of Canada Annual Meeting. (Conference) Ottawa, Ontario, Canada (2008). Copula Models : Theory and Applications. (Conference) Quebec City, Quebec, Canada (2008). Dept. of Statistics and Actuarial Science, University of Waterloo. (Seminar) Waterloo, Ontario, Canada (2007). Invited speaker. Dept. of Mathematics and Statistics, York University. (Seminar) Toronto, Ontario, Canada (2007). Invited speaker. Insurance: Mathematics and Economics Annual Meeting. (Conference) Piraeus, Greece (2007). Statistical Society of Canada Annual Meeting. (Conference) London, Ontario, Canada (2006). Insurance: Mathematics and Economics Annual Meeting. (Conference) Leuven, Belgium (2006). Actuarial Research Conference. (Conference) Montreal, Quebec, Canada (2006).